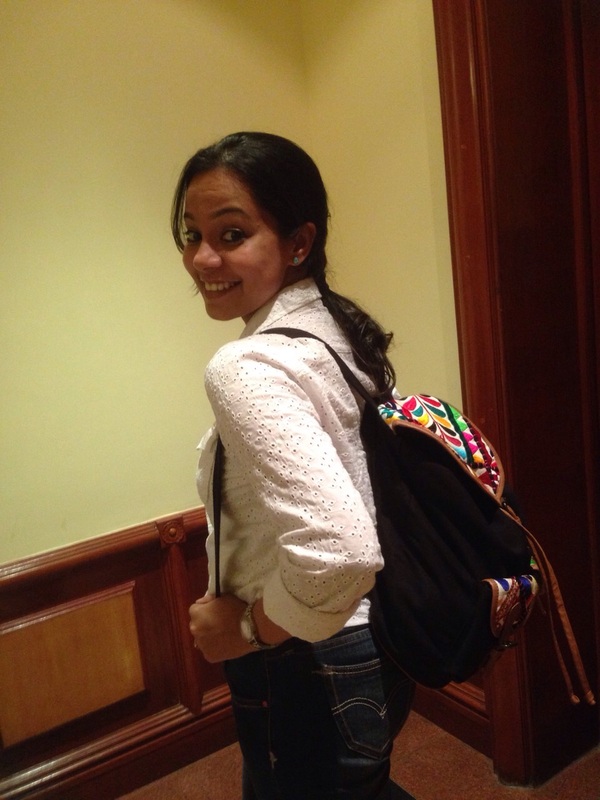 So, long long ago so long ago, a blogger friend had a post about a beautiful studded bag she had and I realized I had a similar backpack full of beautiful embroidery and I thought why not a post on that.! 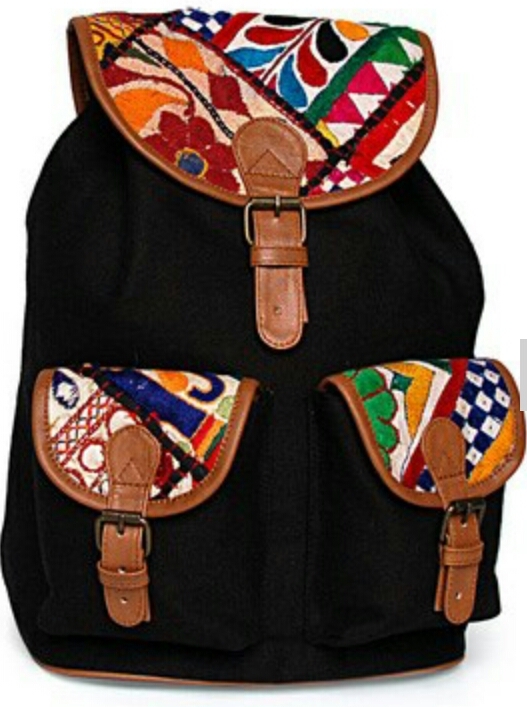 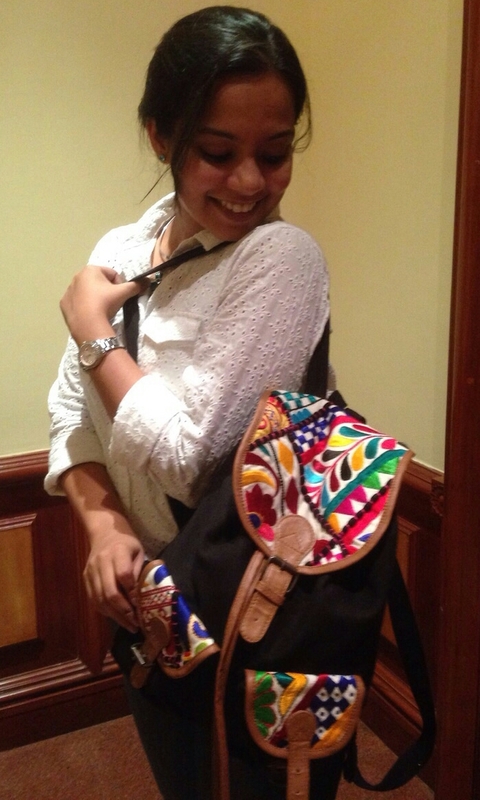 It is a black backpack with the flaps on the top and sides alone in white with a splash of colorful random but beautiful embroidery! 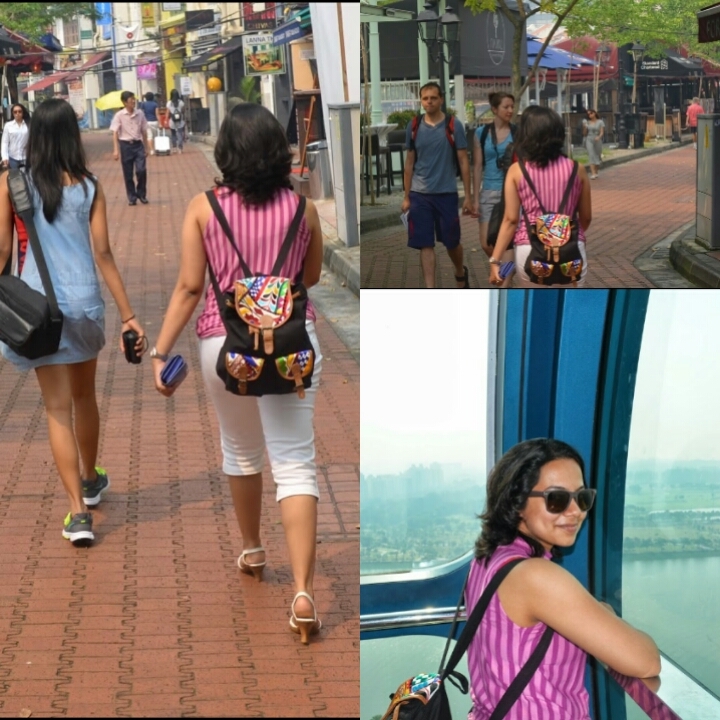 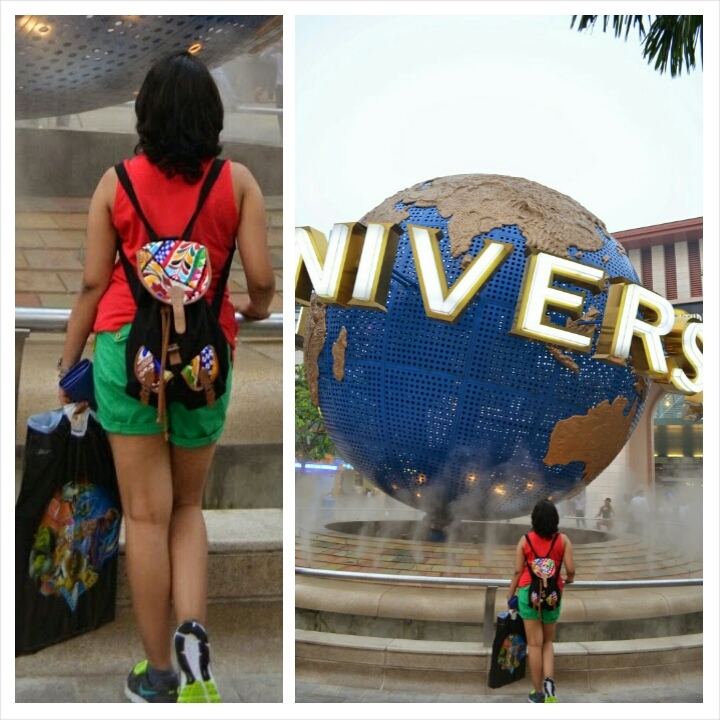 You can find this same bag here!